SPREADING risk is an important factor with any operation. If you start to plan now on the next 12–18 months using the available information, and knowing what you want to achieve, how much it will cost and what price you are prepared to accept, all of a sudden producers using good marketing advice can concentrate on what they are really good at. Managing feed to produce the maximum number of kilograms. Producing, selling and buying livestock are like playing any sport – Netball, cricket, football. Fast on your feet and don’t get caught daydreaming or becoming indecisive. Because it was a good decision last year does not mean it is this year. A decision made is far better than no decision at all if you have a plan. Adapt to change of season, continually asses inputs to understand your ROI or delivering to the specification you have committed to with a contract. In the southern part of Australia, September to January are the main turnoff times for livestock. The annual calf weaner and 1st cross ewe sales take place followed by store lambs and the joined heifer and ewe sales flowing into February. I will preface this piece with a couple of important points. The sheep, wool and lamb enterprise is the best return on investment at this point of time. Bit of extra work but a way better income. When it rains sheep will provide a much faster cash flow proposition than other enterprises. Wool growing breeds love to pay the bills for you because when you feed them they continue to grow wool to repay your investment plus more. The price of wool makes running wethers a low cost option with a good ROI. With the difficult spring many lambs were sold at lighter than normal into light processor orders and backgrounders. The significant forward contracts in October and November for lambs have helped many producers/ feedlots and traders put a plan together around feed and cost vs return. Best contract I saw was $9.00/kg. This in turn has helped processors and supermarkets secure numbers for continuity of supply. The pastoral areas of SA, Victoria, NSW and more and more the WA sheep producers are considered the engine room for supply of females to the Eastern states inside country. Whether a producer buys station ewes or not they form the volume core that inside sheep use when comparing quality and leverage price from. The NE of SA through to Walgett have sold ewes to a point that some are now completely destocked and many others are down to 30 percent – 6000 breeders instead of 18,000. Peter Cabot, Landmark Wagga Wagga relayed the older clients have never seen it as bad on the feed and water front. Speaking to Ron Rutledge the scanned lambing percentages north of the Murray are hovering around 40 percent with many stations lower again. 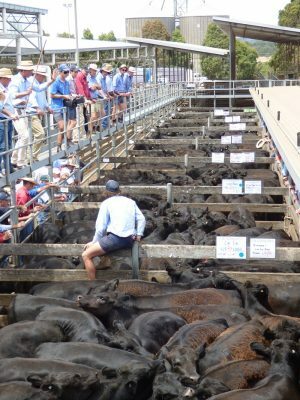 All of the above does however pose the question of how producers are looking at their breeding / trading program, target markets, pasture management, livestock production advice, financing, sale program and kilos produced this year versus last year – Not how many head but how many kilos!! It always rains after a dry spell and having your financial needs in place with your bank or short term livestock finance such as Stockco will allow you to react in real time, not delayed whilst waiting for approvals and documents. Livestock production advice can help you improve kilos turned off the same amount of hectares with some minimal changes and input costs. The MLA have a raft of calculators that can help you determine the inputs and forecast returns on sheep and cattle.